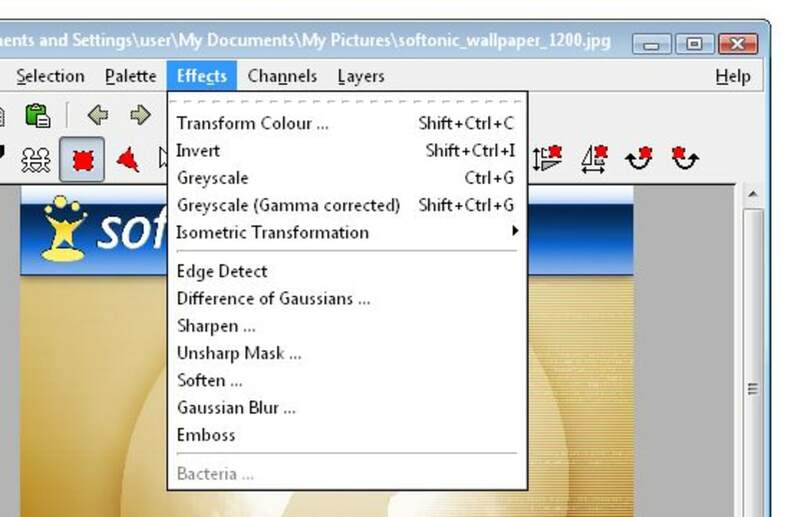 Don’t be fooled by mtPaint's basic appearance. 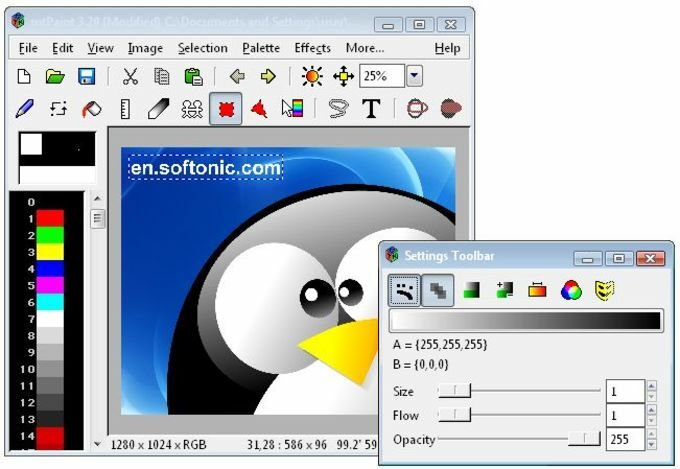 In fact, this is an excellent graphic editor that offers much more than a simple Paint replacement. 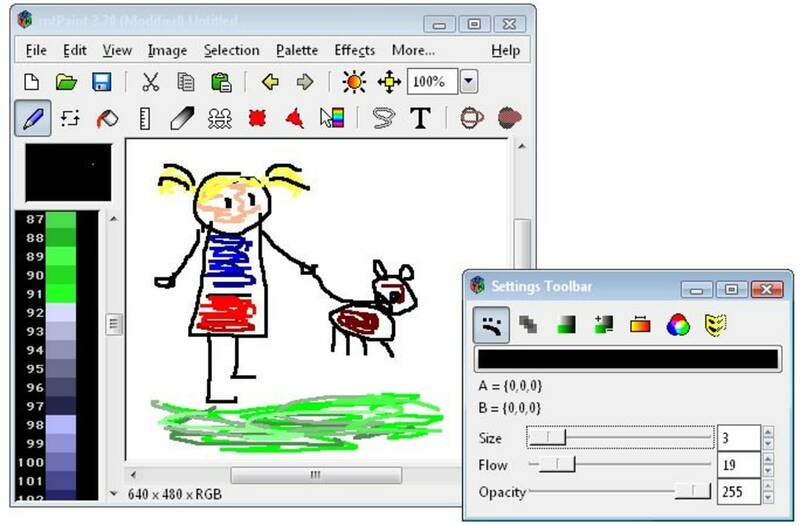 mtPaint enables you to both open images in several popular formats and create your own drawings and graphic compositions from scratch. Regarding the latter, it seems that mtPaint is mainly focused on pixel art, as it allows you to draw with high precision thanks to a very powerful zoom tool. Drawing tools, in any case, may not be the strength of this program – my personal opinion is that it should include more of them. 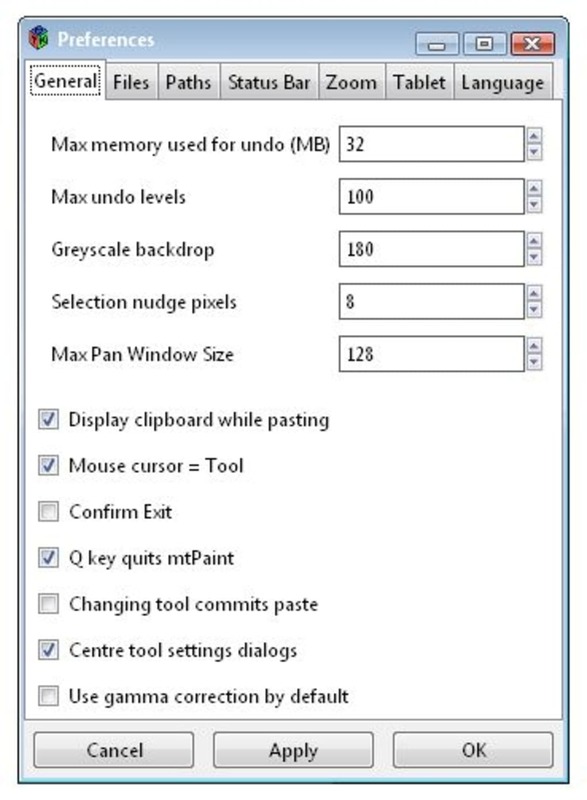 On the upside, mPaint really stands out as a graphic editor with which you can perform many daily tasks. It's simple in design and usage, but at the same time it includes advanced features such as layer support, filters, special effects and more. Of course, this is no equivalent to Photoshop but it will work fine for most of your graphic needs. 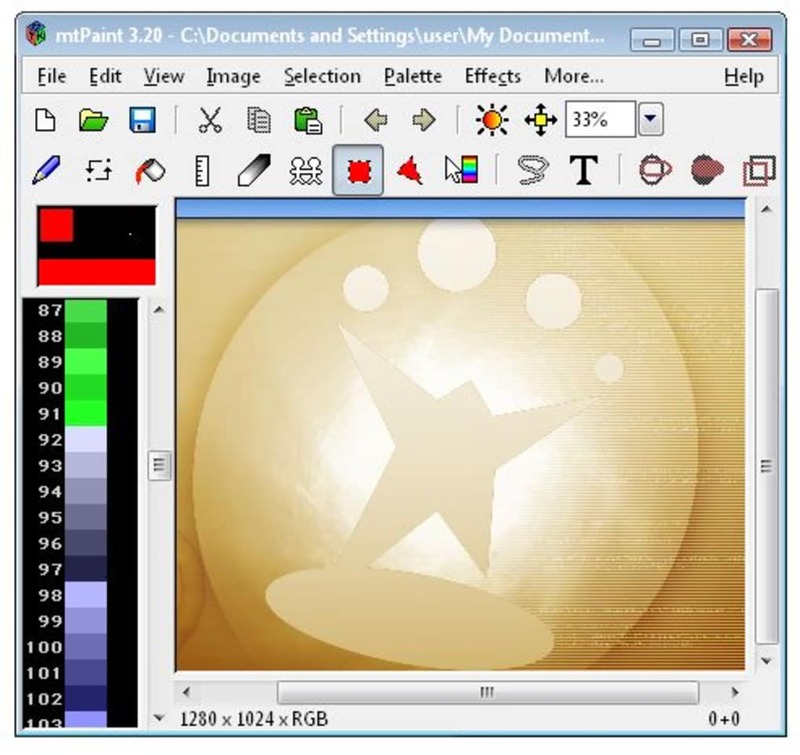 Despite its basic appearance and simplicity of use, mtPaint is certainly a great alternative to the standard Microsoft Paint, featuring advanced functions and tools. PNG, JPEG, GIF, TIFF, BMP, XMP and XBM. A misunderstanding by Santos . For one thing, there are no such requirements to have M$ Windows any version, mtpaint runs on Free operating systems too (BSD, GNU/Linux). I find the review from a mere user perspective, which is not the case with GPL software. If it has few features now, the point and prerogative of the &quot;user&quot; is to get involved and either improve it yourself or request features. See if Adobe listens to you if you try that with CS or Flash.This review was incorrectly dissapointed. What do you think about mtPaint ? Do you recommend it? Why?